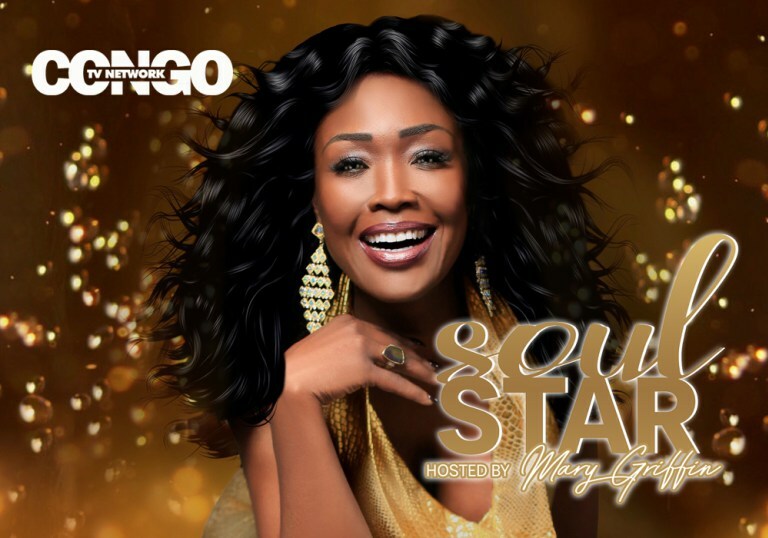 MARY GRIFFIN TO HOST NEW SHOW ON CONGO TV, SUBMIT YOUR VIDEOS | A.M.P.S. For the past four decades, Soul singer Mary Griffin has rocked stages all over the world! Her resume would be better described as a book and her credentials are overwhelmingly impressive. That’s why The Wright Brothers, Founders of Eagle View Media Company (EVMC), called her mid-Summer about potentially hosting a music television program. “We were preparing to do a show to rebirth Soul and R&B music. Mary is the perfect person to mentor younger talent and prepare them for a journey she knows very well,” said Ro Wright, a longtime friend of Griffin and also Co-Founder of EVMC. “This woman is phenomenal. As a person and as a performer. An aspiring artist could only hope to be mentored by her,” said Ro. Griffin is now slated to host a new show for EVMC’s Congo TV Network. It will begin airing early 2018 but auditions and filming will begin late 2017. Griffin’s Entertainment Company, Mahogany Entertainment Corp, will welcome ten talented artists to Houston, TX to be mentored by herself and presented in a music showcase Live in Houston, TX. The final showcase will give the artists the opportunity to perform before record execs, industry moguls, popular radio DJ’s, other celebrity guests. “I’m going to work with these artists, polish them, and place them before people who can make their dreams come true,” said Griffin. Griffin plans to select one artist in which she and her company will personally invest in by recording a project for that artist, develop a brand around the artist, and she will allow the artist to open for her on her tour. She knows very well what it takes to survive in this industry. Early on she made a name for herself on the New Orleans music scene, making a name for herself as the priority voice for Patti Labelle. She has been traveling the world with George Clinton. She has shared the platform with Gladys Knight and Jazz Legend, Diane Schuur, to name a few. She has been the private musical guest for many of the world’s biggest names including Oprah Winfrey, Mary J. Blige, First Lady Barbara Bush, and even President Barack Obama. She has contributed to the sells of more than 21 Platinum Records including the soundtracks to the movies, Studio 54 (in which she actually performed in) and the movie Coyote Ugly as well. Often called to sing the National Anthem at NFL and NBA games, she is booked to make special appearances on the biggest stages in the world. Griffin will turn 50 years old on November 9 but looks every bit of woman in her mid-30s. She will share her diet and workout tips on the show as well, hoping to inspire younger artists to take care of their bodies as much as their voices. Griffin was born in the small town Amarillo, TX. Her father was a Baptist preacher in Louisiana and he helped to cultivate his daughters’ gifts singing in churches across Northern Louisiana. After Hurricane Katrina, she relocated to Houston, TX while working with Patti Labelle. She has built her own empire in Houston, TX and has remained there for almost a decade. Griffin is looking for authentic Soul and R&B singers. “We are looking for people who have cultivated their gift and are ready to evolve. There won’t be any auto tuning on this show. You won’t make it just because you’re cute. You won’t make it just because you can dance. This is about real singing… from the gut… if you have what it takes, I’d like to help you climb this ladder,” said Griffin. Songs can be sang with music or acapella but they must not include background vocals. Artists should email their video link or video mp4 with their name, age, city, and photo to: mgriffin@mahoganyentcorp.com. The deadline for all submissions is November 20, 2017. Twenty singers will be selected to come audition live in Houston, TX. Of the twenty, ten will stay in Houston with Mary. Next articleCongo TV will offer Black Friday special to help boost the network opening! Muslim Fresh – Reality TV Show airing now on Congo TV Network.